This open country bird is common on the islands of Lanai and Kahoolawe. It can also be found in limited numbers in the dry shrublands of the Big Island's Mauna Kea. 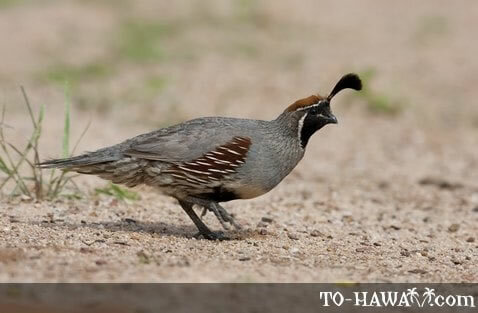 Gambel's Quails have a cinnamon-red crown and an unscaled belly with a black patch.